All records of fungi, myxomycetes, algae and bryophytes available to HBRG including all those previously held on the database at IMAG. 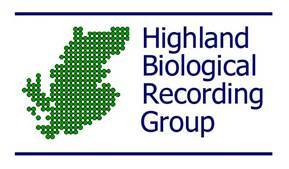 Assembly and mobilisation of this dataset has been funded by grants from Scottish Natural Heritage since 2004, and by members of the Highland Biodiversity Partnership from 2011. Concentrated in Highland, but any records submitted from within UK are included. Coverage will reflect observer location and activity. The majority of records in this dataset are shown at six-figure precision. Looking up... the number of records that can be accessed through the NBN Atlas. This resource was last checked for updated data on 22 Mar 2019. The most recent data was published on 22 Mar 2019. Click to view records for the HBRG Fungus, Lichen & Lower Plants Dataset resource.